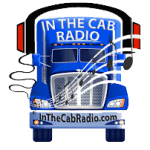 After being diagnosed with type 1 (TD1) or type 2 (TD2) diabetes, it can be difficult to know what to do next – especially for truck drivers. Managing diabetes may seem difficult and confusing, but it doesn’t have to be. If you’re willing to make a few lifestyle changes, diabetes doesn’t have to be a huge disruption to your life. In the case of type 2 diabetes, adhering to an appropriate diet and exercise program can even lessen the risk of the disease depending on its severity. Type 2 diabetes occurs when your body does not use insulin properly, causing blood glucose levels rise to higher than normal levels. Although doctors do not know the exact cause of TD2, according to the American Diabetes Association, its development has been associated with several risk factors. These include a history of prediabetes, hyperglycemia or gestational diabetes; being overweight; physical inactivity; genetics; family history; race and ethnicity; age; high blood pressure; and abnormal cholesterol. Goal: Lower and maintain blood glucose at a safe level. Some cases of TD2 require insulin injections or oral medications to meet target blood glucose levels. However, much of the impact of TD2 can be alleviated through consistent exercise and proper nutrition habits. Insulin-dependent truckers have only been allowed to perform commercial interstate drives since 2005. The following solutions may seem impossible for someone on the road all day, but work these tips into your daily routine and reach out to support groups to get through the learning curve of a new, healthier lifestyle. Take advantage of health screenings in truck stops, Sam’s Club, Walgreens, etc. Failure to properly manage diabetes can have dire health consequences. It can also prevent you from continuing your career as a truck driver. One of the most important aspects of diabetes control is exercise. Regular physical activity aids our bodies in utilizing insulin and glucose during and after activity. When you’re active, your muscles absorb glucose and use it for energy. Over time, exercise can also help to lower your A1C. Check with your doctor before beginning an exercise program, as additional steps may be necessary before, during or after physical activity. Failure to manage diabetes can reduce the functionality of your eyes, kidney, liver and heart. For more information on diabetes, visit the American Diabetes Association or the MedlinePlus government resource. While the use of insulin is no longer a complete barrier to being able to operate a commercial vehicle on the road, a driver must be able to prove they are maintaining stable blood sugars; not an easy task. 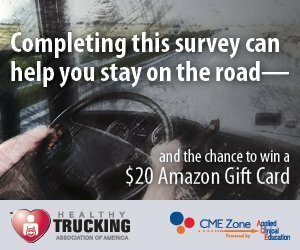 We are offering a new online health program called Omada® to eligible truck drivers. The program surrounds you with the tools and support you need to lose weight, build healthy habits, and help reduce your risk for certain chronic diseases.